I spoke with Catriona Pollard last month about her upcoming solo basketry exhibition Love.Honour.Cherish and discovered an incredibly successful businesswoman who was really doing it all. Besides recently being proud and confident enough to call herself an artist, Catriona is also the founder and CEO of CP Communications, a prominent PR agency located in Sydney, and has her own blog. 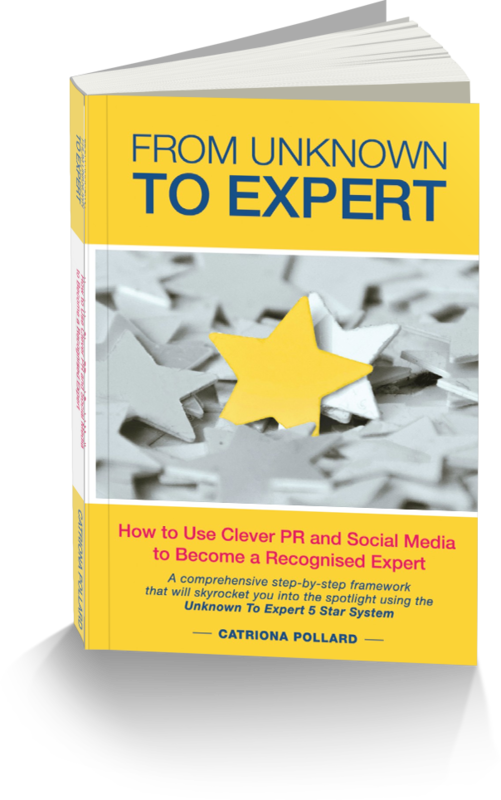 And to top it all off, Catriona has written a book, From Unknown to Expert, which focuses on guiding thought leaders and experts in their field to the global limelight. I was lucky enough to snag myself a copy and I must admit, I raced through the pages in just a matter of days, absorbing everything Catriona had to say. You see, I’ve recently started my own artistic venture, Bridget Conway Writes, and I’ve been struggling to find a foothold in the social media/marketing/PR world. I mean, heck, anyone who doesn’t have a clue about these things will probably start off a little lost. There’s just too much going on, too many options, and it all seems a little overwhelming. That all sounds fairly easy doesn’t it? Well, Catriona explains these steps in a multitude of ways and she has definitely perfected the art of speaking in layman’s terms. I believe that I’ll be able to take on many tips from this book and apply them to my work and my brand (even though I’m not selling anything and doing it for the love, I still have to brand myself in some way!) I can already guess as well that others will really benefit from Catriona’s step-by-step guide. What really impressed by about From Unknown to Expert, though, is Catriona’s total honesty about her story, her work, and her knowledge. I don’t normally read self-help books, motivational books, or even non-fiction for that matter, and this is usually because I have found them incredibly fake in one way or another. The author always seems like they’re spitting ideas at you just so that they can get their word count up to par. However, with From Unknown to Expert, it really felt like Catriona was keen on everyone reading this book learning from her huge knowledge base. This seems to be a theme in Catriona’s life; from her PR agency to her public speaking to her artistry, she is all about sharing. This is an incredibly humbling and rare gift in a person. If you’re looking to boost your personal brand, or your blog, or your Etsy project, or your business, From Unknown to Expert is a quick and interactive read that will help you with all the bumps along the way. This entry was posted in Books and tagged book review, self-help. Bookmark the permalink.